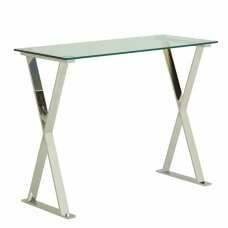 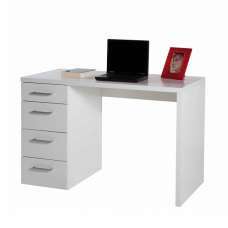 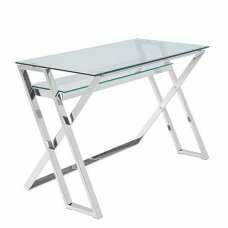 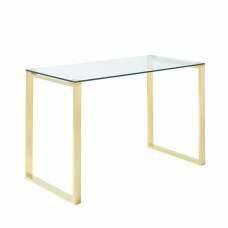 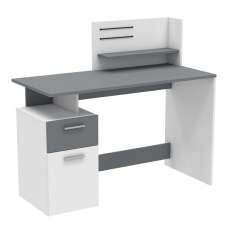 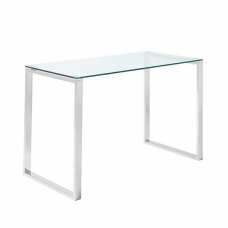 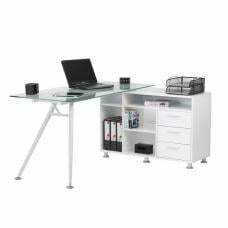 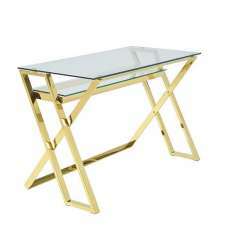 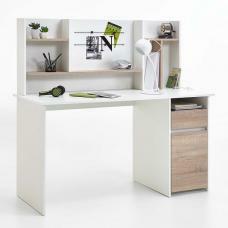 Cooper Wooden Computer Desk Rectangular In Light Atelier And White High Gloss And 3 Drawers for Storage, will be best suitable to fulfill all your home office requirement. 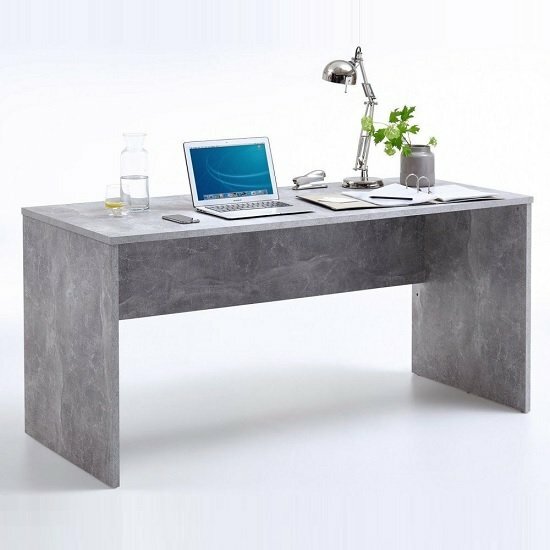 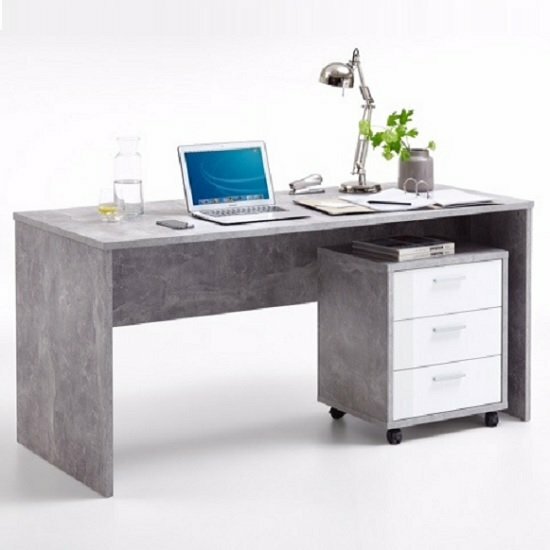 Rectangular Desk is made of chipboard board layered with Concrete decor, Thickness of table is 22mm which provides large working area with high durability. 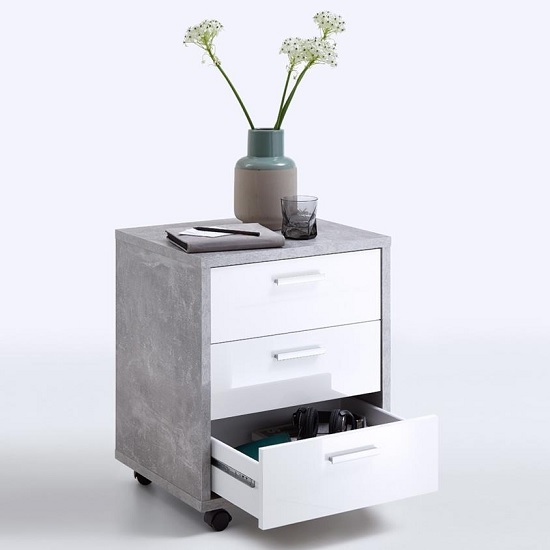 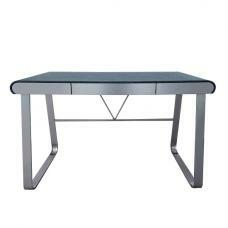 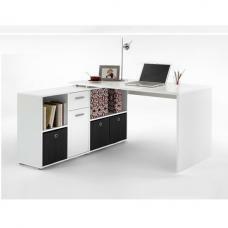 Cooper Office Cabinet In Light Atelier And White High Gloss With Castors, features 3 Drawers with Aluminum like handles. 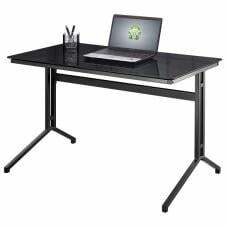 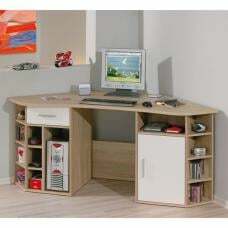 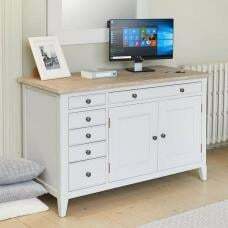 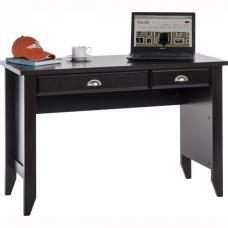 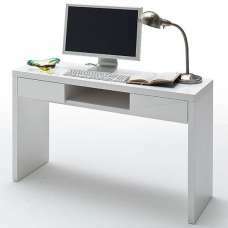 This Desk And Cabinet is useful for writing or for setting your laptop, computer upon and storing your essentials. 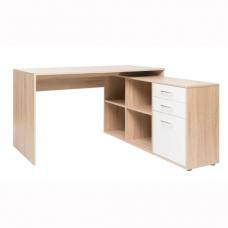 This Desk and Roll Container is also available in Sand Oak.